In Switzerland, 2018 began with a revolution in the electricity market. 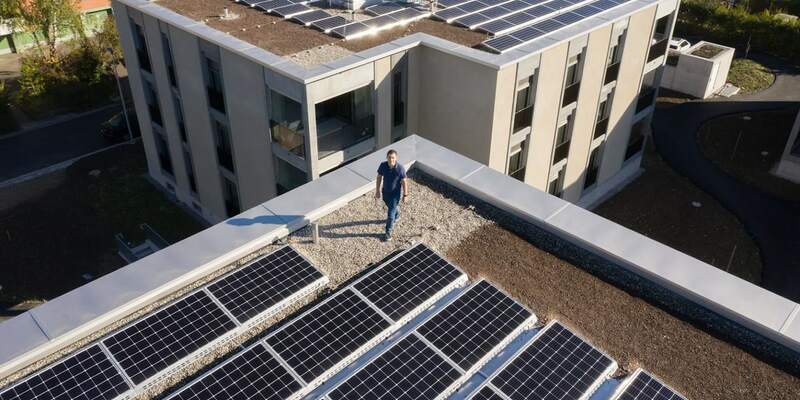 Dues to the federal government's energy strategy 2050 and the new Swiss energy ordinance, owners of solar plants can now sell their own solar power in a private community, a so-called self-consumption community. For investors and owners of solar plants, the new possibility presented interesting chances of earning money with solar power. But it also brought new and complex questions. How exactly do you bill your own solar power to your neighbours? Which electricity tariffs apply and what is legally permitted? How do I proceed to manage and setup a self-consumption community? We wanted to provide answers to precisely these questions. 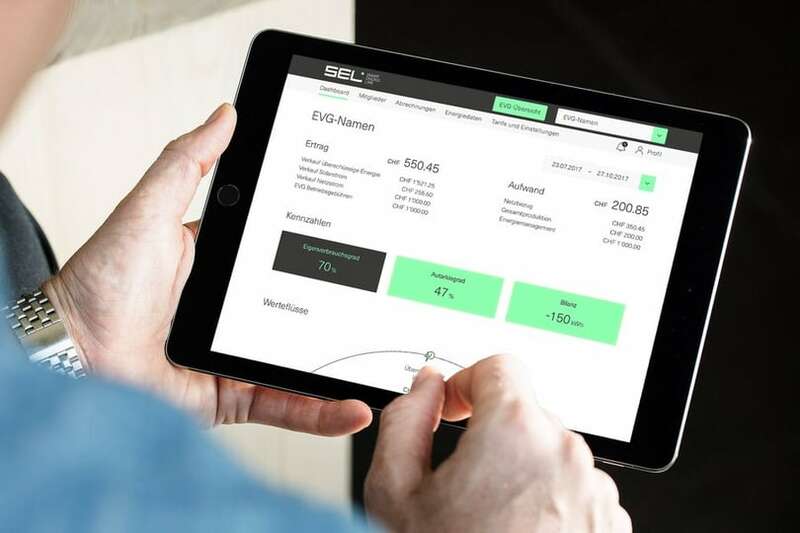 In a common project, Smart Energy Link and Liip developed a new service for easy and user friendly management of self-consumption communities - with a customer portal based on modern open source technologies. Solving complex problems with Service Design, a cross-functional team and an agile approach in several stages. At the beginning of the project, we faced quite some challenges: On the one hand, it was very challenging to reconcile all the legal, technical, energetic and structural requirements and at the same time make all that accessible for the users. On the other hand, we were in a completely new field for everyone involved. At the beginning of the project, there was hardly any experience in this area and, accordingly, no users we could interview. Last but not least, the new possibility in the Energy Ordinance also opened up an interesting field for new business to many of our competitors. A fast time-to-market was therefore crucial in order to secure a pioneer advantage for SEL in this new market. For us, the key to success in this project was a user-centered approach with service design, in order create a easy and userfriendly solution. Furthermore an agile implementation with several stages helped us to achieve a fast time-to-market. Tthanks to a cross-functional team consisting of software developers, service and user experience designers, lawyers and energy experts, we were able to gather all the necessary knowledge in close cooperation. "The cooperation with experts from various fields was essential for this project. We could only develop the current solution in this quality in a team - and besides, it is much more fun to work together on a common goal. "Stefan Heinemann, software developer Liip. Stage 1: Implementation of a first version in order to gain experience with real users. As no experience with self-consumption communites in the market existed yet, we broke new ground with the project. Therefore it was essential for us to be able to gain experience with real users as quickly as possible. In the first stage of this project, we focused on developing a first functional version of the technical solution with which we could put the first self-consumption communities into operation. The focus was on developing a first version of a webbased customer portal and linking it to the hardware in the building - the meters. To make the huge amount of data from the meters accessible - as an essential basis for controlling, optimising and billing the communities. In joint workshops we designed the core of the portal and the data model and created first design prototypes. We implemented them in 6 development sprints with Scrum and were thus able to present a first version of an integrated technical solution in time for Swissbau 2018 in Basel in January - and at the same time celebrate the commissioning of our first communities. The fast market launch (GoLive of the first version was only four months after the first concept workshop) was retrospectively crucial for the development of the entire SEL service. On the one hand, we got already concrete visible results, that caught the attention from potential customers and investors. On the other hand, it enabled us to gain empirical information concerning the needs of the different user groups. This enabled us to further develop our future service based on users needs. Although we were operating in an area that had no users at all at the beginning of the project. Stage 2: From software to a holistic, user-centered service - with service design. With the launch of the first version, we also began optimising and extending our services for real estate management companies. Within the first phase of our Service Design project, we evaluated the needs and experiences of our communities as well as their property management companies with user interviews. This enabled us to obtain facts and clarity about their needs and pain points. The most important finding? A seamless integration of our service into the existing systems and processes of classical property management is key. The less additional effort the management of self-consumption communities causes, the more they are willing to initiate self-consumption communities and manage them with our solution. Furthermore, we recognized the huge need of a simple and reliable billing process - taking into account the complex structure and legal constraints of the Swiss tariff models. These findings were the basis to set clear priorities in the second development stage. In a joint ideation workshop, we worked on how to easy manage and especially bill self-consumption communities professionally without having to acquire any expert knowledge. We worked out these ideas in Service Blueprints and developed simple prototypes for them. We did storyboards for the entire service from the setup to the billing and worked on concrete wireframes for the user interfaces. Afterwards we carried out further user tests with various property management companies. In interviews we tested the content of the service for correctness and optimisation potential. In a second step, we iterated with the so-called RITE method on the wireframes of the new billing in the customer portal. This has given us clarity about which of our ideas we chose to implementing and how we can improve usability and comprehensibility. Especially the iteration with the RITE-method brought a lot of knowledge in a short time. With the findings from the user testing and the revised wireframes, we had everything needed. 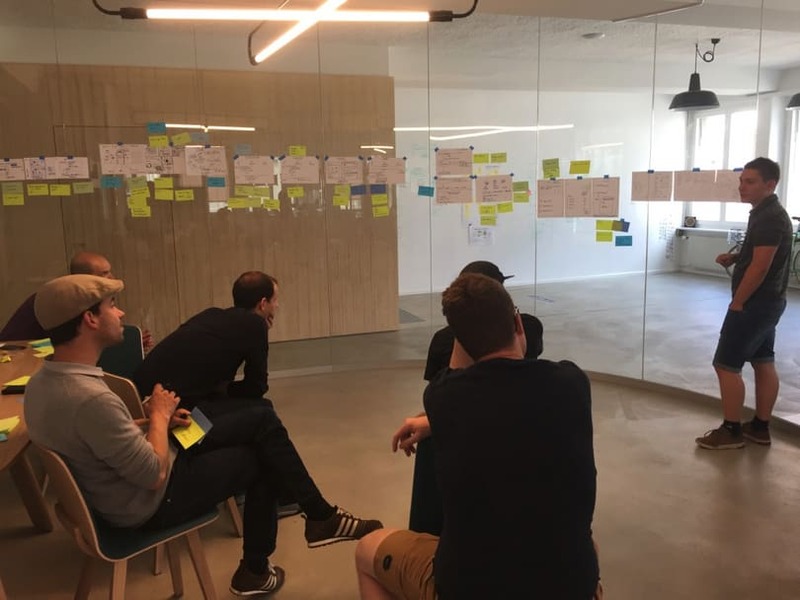 We started to tackle the implementation of development sprints in a very targeted manner. After 6 further sprints in December 2018, this resulted in another GoLive - among others with the new possibility to bill a self-consumption community in just a few clicks. 1. User interviews provide security The interviews and user tests were essential for the content of our solution. They gave us more confidence to be on the right track during the creative and development process. It was helpful to realize, that some of our initial ideas were not really a user need. Dropping them saved us a lot of development effort and money with just a few days of user testing. Looking back, we could have conducted interviews even earlier - some of today's functions would probably not have been developed at all after the last user tests, since they are nice to have, but do not provide any fundamental added value. 2. Clear user needs make it easier to prioritize where to work on: The prioritization of tasks and features is much easier, if we can base on clear customer needs and not just assumptions - as we knew which ones would bring success and which ones doesn’t. 3. Experts from different areas are essential for good services: Typical aspects of service design projects are the complexity and the multilayeredness of the challenges needed to be solved. Typically, they can rarely be answered by one person. In order to find good solutions in such a complex environment, cross-functional teams are essential for a good solution. 4. Agile Sprints help to leave the hidden chamber quickly: The Scrum Sprints proved to be extremely helpful in such an unknown environment to gain experience and to realize a fast time-to-market. 5. Service Design helps to make complex things simple: Last but not least: With this project we have once again proved that even in a technologically, legally and thematically highly complex environment, easy and user-friendly solutions can be developed. 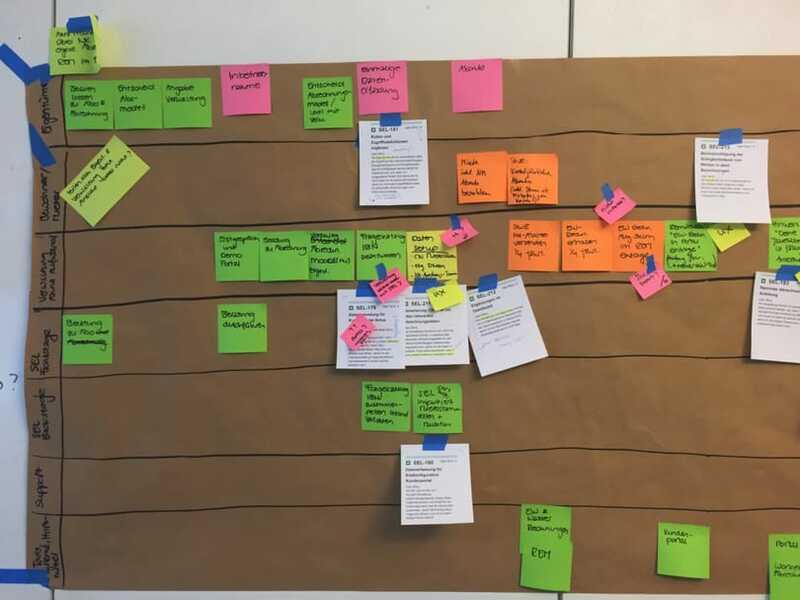 Service design as a holistic and user-centered approach is the structured method - with Scrum for a flexible and fast implementation.